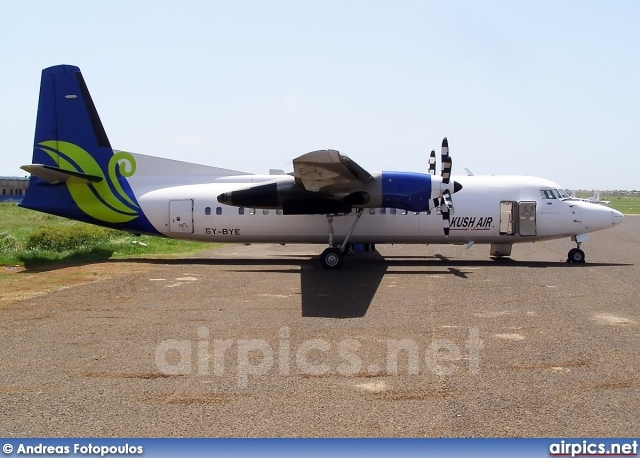 ► CONGO (KINSHASA): Air Kasaï due to take delivery of first ATR 72. Kinshasa-based Air Kasaï is planning to take delivery of its first, and the Democratic Republic of Congo's first, ATR72 (MSN 408 | 9Q-?) according to Skyliner.de. The delivery will mark the relaunch of the airline into the local and regional market. ► SOUTH AFRICA: (Pics) Antonov An-2 biplane completes epic 20'000km journey from Russia to South Africa. An Antonov An-2 christened Anushka (Little Annie in Russian) (MCN 1G226-49 | RA-33390) has completed its 20'000km journey from northern Russia to South Africa, where it is to be used to carry out charitable work supporting humanitarian causes in southern Africa. Donated by Russian airline UTair (UT) with South Africa's ExecuJet set to provide the necessary support and maintenance, Anushka, a former cargo hauler, will now operate out of Lanseria Airport, Johannesburg under the "Just Love" banner. ► SUDAN: Azza Air Transport AN-12 crashes near Khartoum, 15 dead. 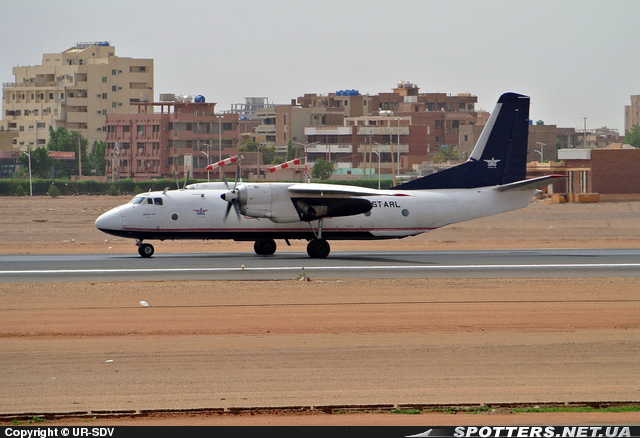 An Azza Air Transport (AZZ) Antonov AN-12BP (*confirmed MSN 402010 | ST-ASA) operating a flight for the Sudanese military, has crashed 40 kilometers west of Omdurman, as it was climbing out of Khartoum International Airport en-route to El Fasher, capital of North Darfur. 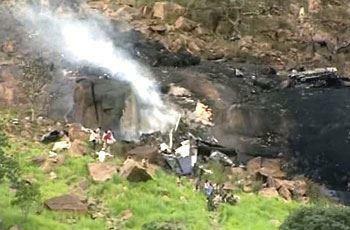 ►► SUDAN: Numerous Sudanese government officials killed as Alfa Air Antonov 26 crash claims 32 lives. What should have been a day of celebration to mark the end of Ramadan instead turned into a day of national mourning as an Alfa Air Sudan Antonov 26 (MSN: 47302606 | ST-ARL) crashed into a slope in the Nuba mountains south of Talodi, at about 08h00 local time, en route from Khartoum to Talodi, South Kordofan State, killing all 32 (26 passengers and 6 crew) passengers on board. "Local Television reported the aircraft went around on its first attempt to land in Talodi due to weather but did not manage to climb above the terrain during the go-around. Sudan's Civil Aviation Authority reported at the time of the crash, visibility was substantially reduced due to a dust and dirt storm in the area. " The Antonov was chartered to take the various officials to Talodi to "congratulate the town's citizens on Eid Al-Fitr." Engineer Ghazi Al-Saddiq - the federal Minister of Guidance and Endowments. Mahjoub Abdul-Rahim Tutu - the State Minister at the Ministry of Youth and Sports. Eissa Daifalla - the State Minister at the Ministry of Tourism, Antiquities and Wildlife. Ali Al-Jailani - the Minister of Education of Khartoum State. Mekki Ali Balayel - Leader of the Justice Party. Mohamed Hassan Al-Jaafari - Commissioner at Headquarters of Khartoum State. Tariq Mubarak - Commissioner of Khartoum North. Maj. Gen. Salah Ismail - the Air Forces. Maj. Gen. Ahmed Musa Ahmed - the Police Forces. Maj. Gen. Ahmed Al-Tayeb Abu-Guroon, the Security and Intelligence Organ. Brigadier Lugman Omer - Second Commander of the People's Defence Forces. Hamid Al-Aghbash - the National Assembly. Dr. Mohamed Al-Bakhit Al-Bashir - the Islamic Figih Council. Al-Saddiq Abdul-Majid Al-Makkawi - the People's Defence Forces. Awadal-Karim Siral-Khatim - Deputy Coordinator of the People's Defence Forces. Waeez Salaha Omer - Headquarters of the People's Defence Forces. Omer Mahjoub Ahmed - Deputy Coordinator of the People's Defence Forces. Salah-Eddin Mustafa - the People's Defence Forces - Jabal Aulia Locality. Abdul-Azim Hamza - the National Congress - Khartoum State. Abdul-Atti Ahmed - Correspondent of the National Television. Al-Sheikh Abdul-Rahim - the media mission. Bashir Fadl Al-Sid - Khartoum State Media. Abdul-Hai Al-Rabie - the media mission. Ismail Abdul-Karim - the media mission. Captain Saif-Eddin - Director of Office of Maj. Gen. Abu-Guroon. Al-Sayer Mohamed Al-Sayer - the Ministry of Guidance and Endowments. 27 /28/ 29/ 30/ 31/ 32 - the crew of the plane. ►UPDATE: The authorities revealed that the crew of the ill-fated plane was comprised of four Russian pilots, a Sudanese pilot called Abdel Moniem and two female Sudanese stewards. The head of the Sudanese Civil Aviation Corporation (SCAC), Mohammed Abdel Aziz, has resigned as a result of the crash. In recent years, Sudan has had numerous aviation accidents and incidents that have severely damaged the country's aviation image. Khartoum has frequently complained that its poor record in air safety is largely due to lack of spare parts for its aircraft caused by US Sanctions. 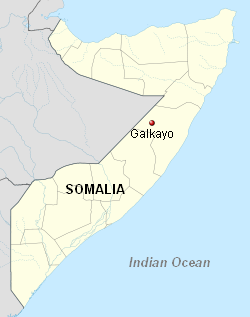 ► SOMALIA: Jubba Airways Antonov AN-24 crashlands at Galkayo; No Casualties. A Jubba Airways (6J) Antonov AN-24 landing at Abdullahi Yusuf International Airport, Galkayo, Somalia en route from Hargeisa, Somalia with 32 passengers and 4 crew aboard, blew both landing gear boogies on touchdown, thereby tearing off the entire wing assembly, before veering off the runway. Puntlandi.com, a local Somali news site, reports that all passengers were safely evacuated by the airport rescue team. Though the accident occurred during the rainy season, no direct correlation between weather and the cause has yet been established. Jubba Airways is a Mogadishu based Somali airline that operates a fleet of Boeing 737s throughout Somalia and the Middle East/Arabian Peninsula.